This is part 2 to my night with the young women in our ward! If you missed my post this morning, the other night I had the privilege to hang out with the young ladies of my ward. I always try to take a treat with me because that is the fastest way to someone’s heart but I also love to try new things with them to get an honest opinion on new treats that I want to share with you. I’ve seen marshmallow pops and thought they were cute but didn’t think that they would be a showstopper but they are! The young women and the leaders politely asked me what it was and at first the leaders didn’t act too interested but it only took one bite! Seriously, I had so many of them tell me that it was the best marshmallow they had ever had and they were amazed how delicious they were. 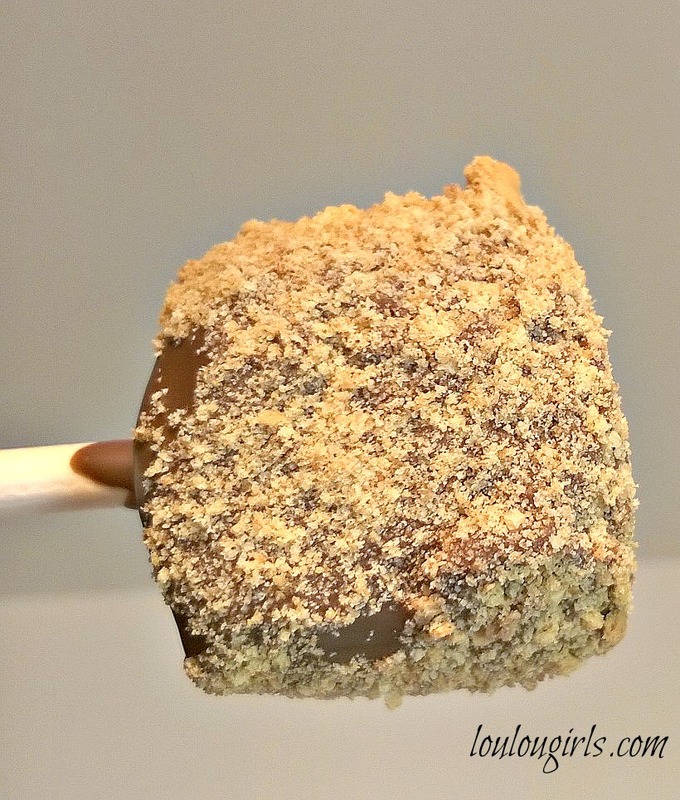 My hubby had the one with graham crackers and told me it was the best S’more he had ever eaten. 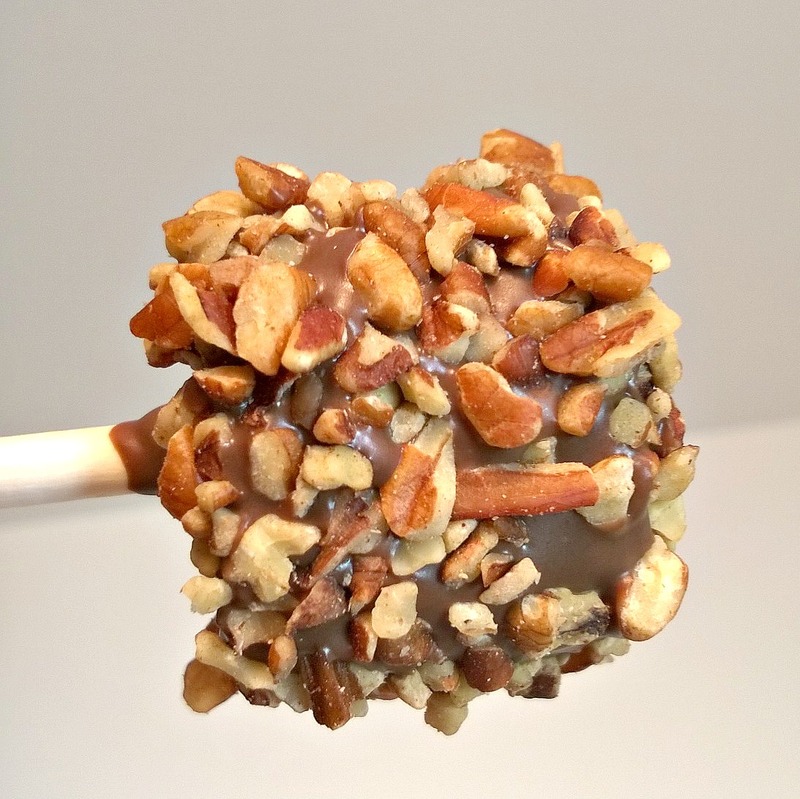 You can go crazy and come up with so many different combinations and when you have to take a treat this holiday season, you can whip this up in minutes! In a microwave safe bowl, melt the chocolate. Depending on how hot your microwave heats will depend on how long to cook it. I do 1 minute and stir, if required I will do up to 1 more minute by doing 30 seconds at a time. Stir it until it is nice and smooth. Do not overcook or your chocolate will seize up. Let the chocolate cool for a few minutes, so you don’t melt the marshmallow. One by one, dip the very tip of each lollipop stick into the chocolate. Then stick that end of the stick into the marshmallow until it’s almost to the end but not all the way through the marshmallow, and then let it dry. Now take each marshmallow and roll each in the chocolate. Tap the stick gently on the side of the bowl while rotating the stick. This get rid of the excess chocolate. 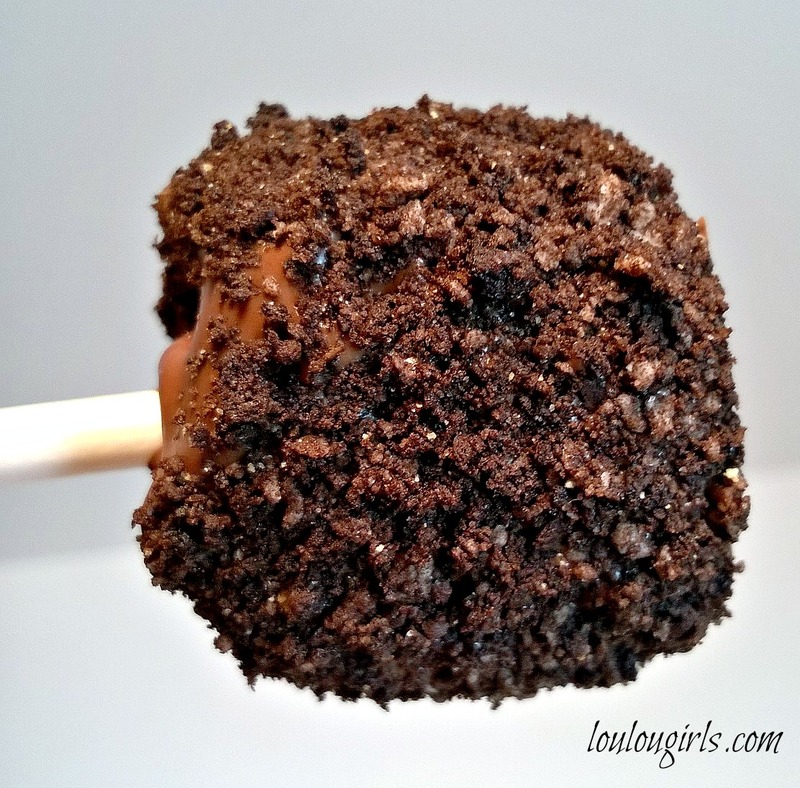 Roll the marshmallow into your favorite topping like the graham crackers, Oreo crumbs or the chopped pecans. Set the pops on cupcake liners and let dry. yum! these look delicious! they'd make a cute gift for hosts too! What fun. My niece would love this! Thanks for joining Home Sweet Home! 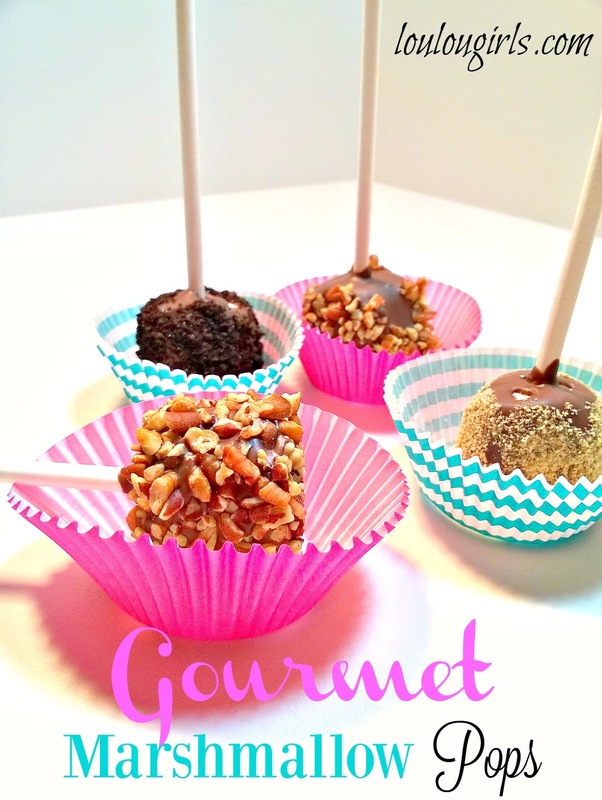 So simple, fun and yummy! What a cute idea! They would be fun hot chocolate stir sticks too!! These marshmallows look heavenly. Your photos are always so incredible. Just want to take a bite out of it. Pinning these. What a fun and delicious treat! 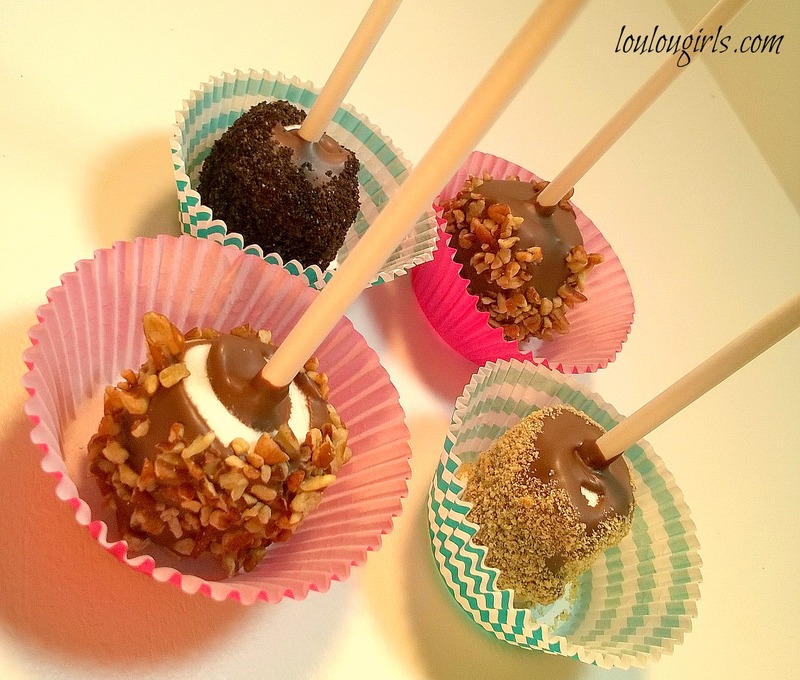 Your Gourmet Marshmallow Pops look wonderful! Sharing – thank you for being a part of the Hearth and Soul Hop.